Fundraising Secrets brings together the best in the non profit sector. Fundraising Secrets will share ideas, teach best practices, learn and listen to the fundraising needs of the non profit markets. Host: Maya McNulty, is an award winning business strategist, author and philanthropist. Five ways to learn more about Fundraising Secrets and lucrative fundraising. Michele Morris board member at Outreach 360 encourages College kids, students, and families to volunteer and travel abroad to Dominican Republic and Latin America and experience the culture while impacting inner city youths. 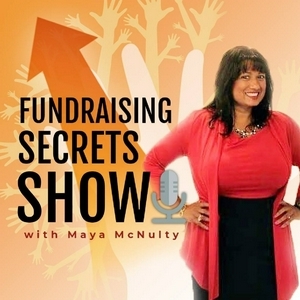 Celebration of 50 Fundraising Secrets Podcast episodes. Here's a recap. Why nonprofits should start podcasting. By following these steps your organization will launch your podcast and get your message out to the world. Development and Community Engagement Manager Sandra Goldmeer shares her personal story with breast cancer. She also shared why Susan G Koman is important to her and the community. Tina Lee, Community Outreach and Matthew Shapiro, a peer leader and Director of National Alliance on Mental Illness NAMI-NYS shares their Nonprofit mission and vision for helping people suffering from mental illness. Entrepreneur and Executive Director William Rivas speaks on the importance of the COCOA House and the impact in the community. Also, 518Talks and Speakers Series. I'm going to be real. I failed at writing fundraising secrets and I want to apologize. 7th grade was most memorable. Probably, my best year of middle school. It was the first time I was introduced to entrepreneurship and volunteerism. The book The Push Cart Wars inspired me. Here's a little back story about what that book taught me and how I use that experience today. Step by step How to successful story-tell for nonprofits. Why should you increase your Twitter followers? Volunteer job descriptions is incredibly important. Listen to this episode of the four R's of what's missing in your job description for your volunteers. How to create an audio book for your organization. Plus, listen to my Retail Audiobook Retail sample on Audible. The best way to grow Your sponsorship is to partner with your community. Another option would be by adding a dual sponsorship to companies and other organizations on your events Sponsorship form you have coming up. This will increase Fundraising goals and your bottom line. Three ways to overcome fear every organization needs to hear. More money equals more programs. Asking for more money from people you will receive. Remember it's the job of everyone in the organization to ask for money. Nonprofits start creating your own blue ocean. Create an audiobook for your organization and share your message with the world. Nonprofits if growing your nonprofit business is important to you, listen, be coachable, and be consistent in your marketing. Your nonprofit organization could be failing because you failed to hire rockstar's. Hire experts in their superpower, so that your non profit organization stands apart from the other 9,000 organizations. Did you know that only 5% of professional books are converted into audio books? Your nonprofit could be leaving money on the table. Start converting your books and ideas into Audiobooks. Here's a Retail sample of my latest book, My Favorite Quotes for Entrepreneurs- Your Interactive Guide to Inspiration and Empowerment. Available on Amazon. Winter fundraising without a doubt is probably the most important time of the year for nonprofit fundraising all around the world. Are you a Fundpreneur? I'm a Fundpreneur. I believe that my tribe maximizes fundraising by thinking like an entrepreneur. Join the movement. Volunteers without a doubt are probably the most valuable resources in your nonprofit organization. Episode 30 Every Nonprofit Needs to Hear This. 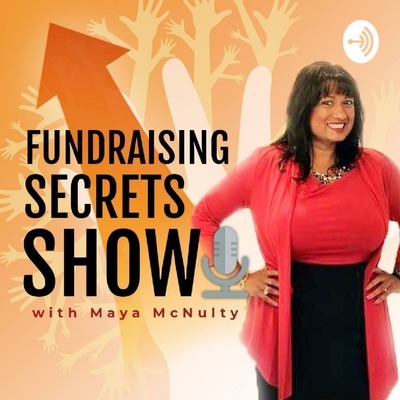 If you want to move closer to achieving your Fundraising goals and champion the mission, listen to this podcast episode. Hard Truths Every Nonprofit Needs to Face. As a non-profit marketer you're likely consistently looking for ways to improve your nonprofit presence in a digital world. Branding might not be the first thing you think of when you think of nonprofits. Here's some Branding strategies to improve your nonprofit. Building a high-performing, successful non-profit is never easy. Sustaining one is even harder. Listen to this episode and learned about different characteristics of a successful nonprofit. Nonprofit fundraising teams come in all shapes and forms. L isten to this episode and learn how to grow your nonprofit's for small, local or International fundraising. Writing a powerful year-end giving letter cannot be ignored by any organization. Listen to this episode how to recognize non profit burnout and manage it. My backstory on how I became a professional fundraiser, podcaster and author. Also, in this episode how to write a sponsorship letter. Nonprofits should prepare themselves to accept Crypto currency the form of donations. Use these Fundraising tips and intentions to connect with people who are interested in learning more about your organization. Listen to the Raw and unedited version of my Audiobook My Favorite Quotes for Entrepreneurs in this podcast. Listen to my audio book and learn 7 secrets for improving your life, business, relationship and job you've always wanted. Old list can be costing your organization money. Learn how to generate leads and scale your organization. Fundraising can become chaotic with a poor system. A cadence report helps to ease the pressure and increase productivity. Your event can operate systematically on a one-page sheet. Crafting an organized event proposal will increase communication between the venue the non-profits and the volunteers. Follow these six steps in exact order to draft your sponsorship secrets proposal. Non Profits 6 steps to podcasting. Get your organizations message out to the world. An action steps Timeline is essential for successful fundraising events. Your welcome message is the start of a Relationship with your customers, business, Non Profits. Make it count! Should nonprofits invest in postal permit? Will having a permit save them time money and a lot of aggravations? Listen to this episode and leave a comment below. Regional Food Bank of Northeastern New York supporting backpack program. Helping to alleviate childhood hunger. Join us on this journey as we help Nami find better research and more treatment to bring light Into Darkness. Steps on how to lead generate for your organization. Enthusiasm comes from the root word Theo which means God within. Increase your smile state to increase your value and income. Commonality that all nonprofits share. These simple steps can increase the your nonprofits donations. Thanking your community is essential to Growing any non-profit. Engagement of New Blood, greater Talent, new experiences, and cutting edge Solutions can increase the dollars that your organization is seeking to fundraise. Listen to this podcast and you learn exactly how to improve thanking your community. Right before you launch your fundraiser. Fundraising tips.. Launching your Fundraising event. During your Fundraising. And Ending Your Fundraiser. How would you like to have hundreds of opportunities in your inbox every day? Learn these three ways to measure your list growth for success to your nonprofits and you will wake up to hundreds of opportunities every day in your mailbox from top donors, or galas and events.